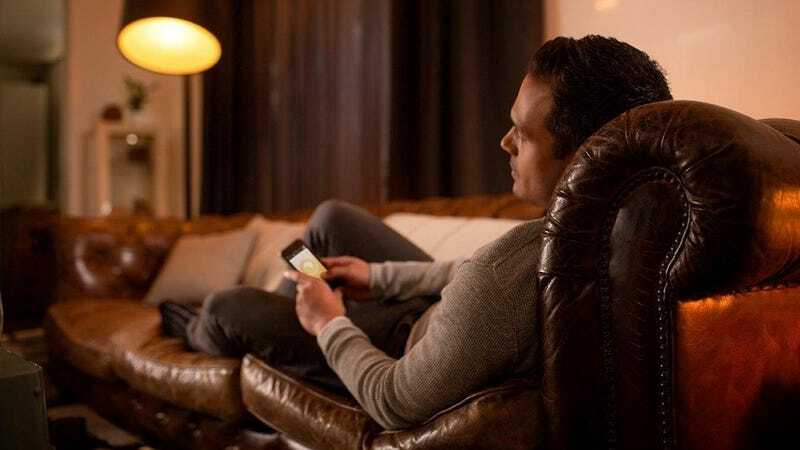 If you’re intrigued by the idea of Philips Hue smart lighting, but don’t particularly care about dramatic, colorful light shows in your living room, the Hue Ambiance starter kit is exactly what you need. The kit comes with two White Ambiance bulbs, a programmable dimmer switch, and a hub to control them (plus up to 48 other bulbs that you can add later). These bulbs can’t display colors on the RGB spectrum, but they can show thousands of different temperatures and intensities of white light. So your bulbs could mimic daylight when you want to feel energized during the day, then dim to a warm, sunset-like look as the day winds down. As someone who owns a lot of Philips Hue lights that can display colors, I can tell you that 95% of the time, I just use them for different shades of white. This deal is refurbished, but $69 is $31 less than buying the same kit new, and buying all of its components a la carte would cost nearly $150. If you own a Google Home or Alexa device, controlling your lights is arguably the coolest use there is for it, and this is one of the cheapest ways in that we’ve ever seen.